Announcing the Official atWar Discord Server! The Official Discord Server, separated from our various community run Discord servers, will be the upfront secondary mean of communication. 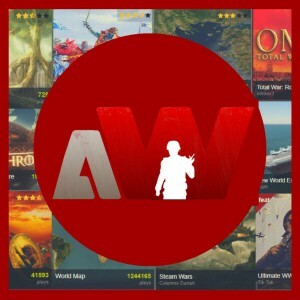 Various discussions about upcoming atWar Events, pesky little map bugs, valuable assistance and mentorship on basic game play + mapmaking, etc will be happening on that Discord Server. ● Have web-hook integration for our Facebook + Twitter + Reddit pages. ● Be a hub for our translators to continue their work, with the various untranslated languages. ● Provide a secondary if not direction communication with our Moderator & Supporter Team. ● Be a focus point for our Social Media Partners, giving them valuable access to input on the various videos, memes, etc they might create.